ASWR Franchising Corp. is the Franchisor of the AllStar Wings & Ribs® Franchise Organization and is a privately held, wholly-owned Ontario corporation. Does ASWR Franchising Corp. provide financing? No. However, the Franchisor can provide contact information to certain third party commercial loans officers with various chartered banks. Does the Franchisor help with locating a site and negotiating a lease? Yes. Focused site selection activity begins once the franchise agreement is signed. Using our detailed Site Selection Criteria Checklist, we work closely with you and a real estate agent to develop a short list of three (3) suitable locations in the area(s) available and desired by you. We then work together to select the best location of those available and help to develop an Offer to Lease. Can I buy a franchise? No. ASWR Franchising Corp. grants franchise rights and awards franchises. Franchise rights are never “sold” and franchisees never “buy” or “own” franchise rights. We consider the opportunity to join the organization to be a privilege, not a right. A “franchise” is joined because you want to learn from the Franchisor, benefit from the experience and network, and increase your chances of owning and operating a successful restaurant business. The consistency of product and service between all of our locations is critical to our collective success. We all share a common Brand. In the eyes of the consumer, we are all AllStar Wings & Ribs®. That means we all need to comply equally with our defined operating standards, policies and procedures for everyone’s benefit. The franchise system is based on a strategic partnership. We get to know you and your capabilities, and you develop an understanding of our philosophies, our values, and our systems. Together, with all of the franchisees in the system, our goal is to capture a disproportionate share of our given foodservice target market. How do I qualify to be awarded an AllStar Wings & Ribs® franchise? 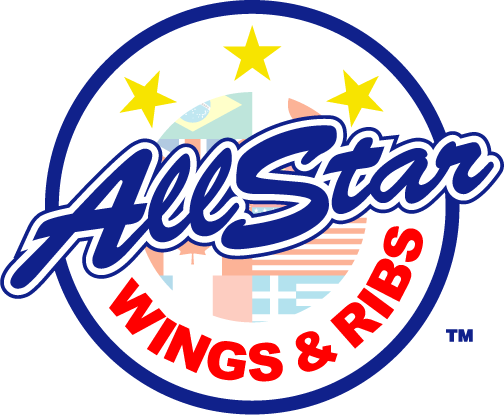 Complete the AllStar Wings & Ribs® Confidential Questionnaire and meet with our development group at the AllStar Wings & Ribs® Head Office. Suitable candidates are then provided with our confidential FDD and begin their investigations (referred to as a “Due Diligence Process”). a visit to the AllStar Wings & Ribs® Head Office. 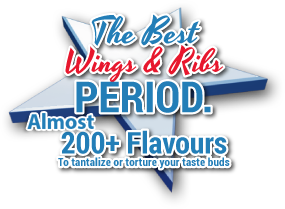 Visiting the AllStar Wings & Ribs® Head Office provides you with an opportunity to fully determine whether this business opportunity is for you, whether we believe that you share our vision and whether we both have confidence in your ability to succeed. Can I be a Silent Partner? Yes. ASWR Franchising Corp. prefers owner/operators. However, we will consider an arrangement in which one shareholder is silent, but your partner must be a working shareholder holding a minimum of 10% of the shares. What if I find an existing restaurant for sale or lease? Yes, occasionally there are opportunities that arise with existing or former restaurant sites that, for whatever reason, have not succeeded. Locations of this sort have often proven to work well for our concept. We refer you back to your initial investment levels which you should be comfortable with, although, due to their nature, conversion opportunities can result in unforeseen costs. Accordingly, it is also important to always have a contingency reserve available just in case of budget overruns. Regardless of the above estimates, refer back to the Disclaimer. Does operating an AllStar Wings & Ribs® franchise involve the use of a Point of Sale (POS) computer system? Yes. It is a proven and robust software system that effectively captures key point-of-sale date, labour costs and other metrics that are key to running an efficient operation. Will I have a Territory? Yes. ASWR Franchising Corp. grants each franchisee a “Territory” representing an area within which we agree not to operate or grant to anyone else a franchise to operate a foodservice business using the specific trademarks licensed to you from premises permanently located with that Territory. This approach allows AllStar Wings & Ribs® franchisees to host any customer that visits their location while spacing our locations far enough apart that we are not competing against one another. ASWR Franchising Corp. is accepting applications for franchise locations within North America. For those who qualify, the Franchisor may offer the right candidate single unit / multi-unit / area development in the above-noted markets. Contact us for more information on the types of opportunities available. I do not have a restaurant or foodservice background. Can I be awarded an AllStar Wings & Ribs® franchise? Yes. Although it helps to have specific knowledge of the industry, it is not necessary to be a foodservice professional to operate the business. Having a business background or managerial experience is an asset. However experience in the food industry is not necessary. Do I require a lawyer or accountant? Yes. Obtaining independent legal advice is a non-negotiable pre-condition to granting franchise rights. We recommend that you contact the Canadian Franchise Association for a list of lawyers specializing in franchise law. It is highly recommended to have a Chartered Accountant available to review your investment levels assist in writing a business plan. Why do I need to complete a business plan before I become a franchisee? A business plan completed prior to the grant of franchise rights provides the Franchisor with written evidence that you have investigated the franchise opportunity before investing and therefore you are in the position to make a “well-informed business decision” prior to making a commitment. While the Franchisor cannot and does not approve your business plan, it will also act as a road map in keeping you on course. A business plan is a requirement to any bank financing and otherwise in accordance with the Code of Ethics of the Canadian Franchise Association. We exercise every precaution to carefully award franchise rights to those who are well-suited to the challenges and opportunities of this business. A large part of these precautions is to ensure that you are in the position to make a well-informed business decision prior to making any final commitment. Nevertheless, a well-informed business decision will require you to seek counsel from your professional advisors (Lawyer and Chartered Account). How soon can I make a profit? ASWR Franchising Corp. cannot make any projections, guarantees or earnings claims. What are the major ingredients for success?